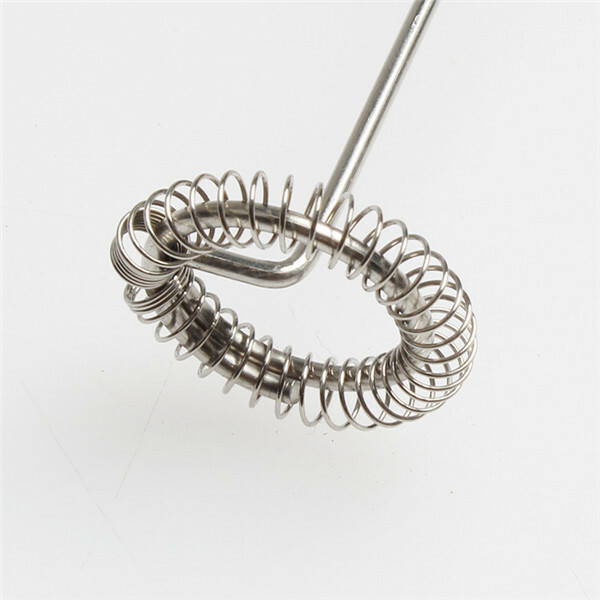 UPGRADE THE DESIGN, WITH ADDITIONAL DOUBLE AND TRIPLE SPRING WHISK HEAD - We can choose to use doubles or Triple Milk Frother whisk head, according as we need more or less milk foam. With an extra built-in stand, it will help us store handheld milk frother after we use it. STRONG ENGINE, SMALL BUT EFFICIENT, NOISE REDUCTION - With strong engine, we would use battery milk frother to make milk foam quickly. Low noise, small size, easy to carry, H-Min milk frother electric is suitable for home, travel and camping, we can enjoy coffee with thick milk foam, anytime, anywhere. 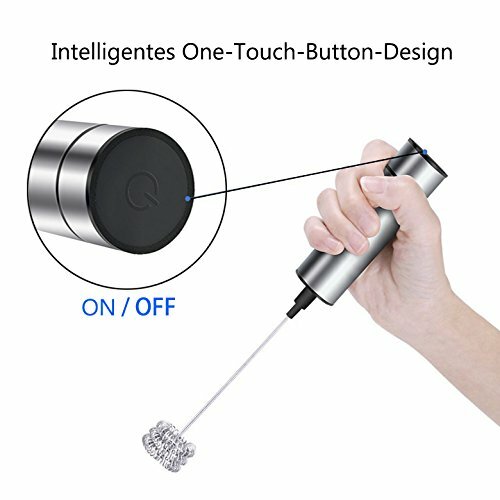 BATTERY OPERATIONS, EASY TO USE - The milk frother handheld is battery powered by 3 AAA batteries (not included). 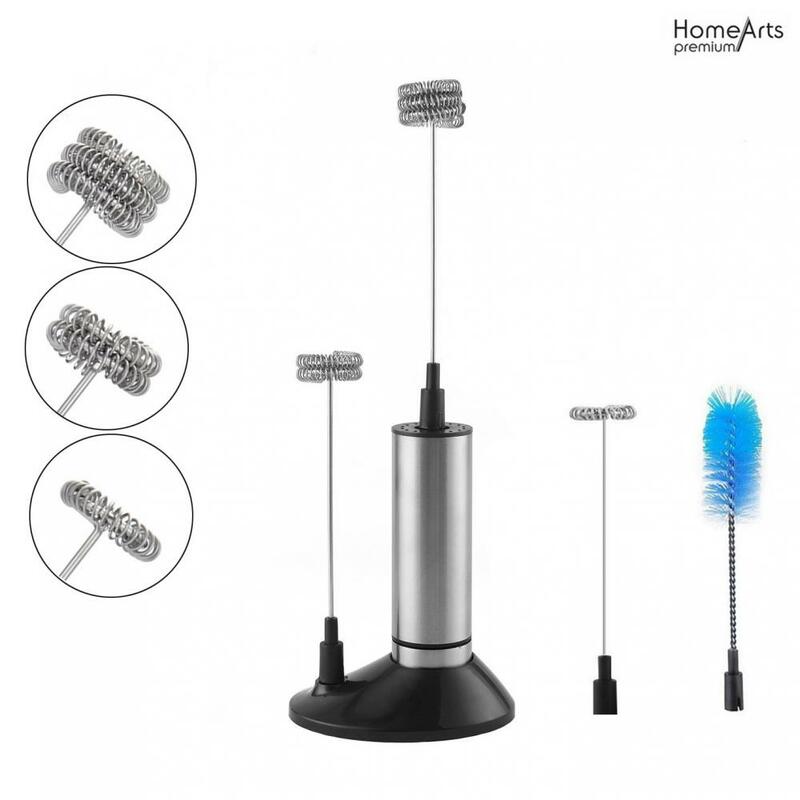 It is easy to use, just press the button on the head once, the battery operated whisk starts working. No need to hold the button all the time. MULTIPLE USES, IDEAL Kitchen Tool - Milk frother handheld has many uses, it can be used to make milk foam for coffee ( cappuccino, macchiato ), hot / cold chocolate, mixed milk drinks, matcha and more. Of course, milk whisk frother is also suitable for stirring egg yolks and sauces. 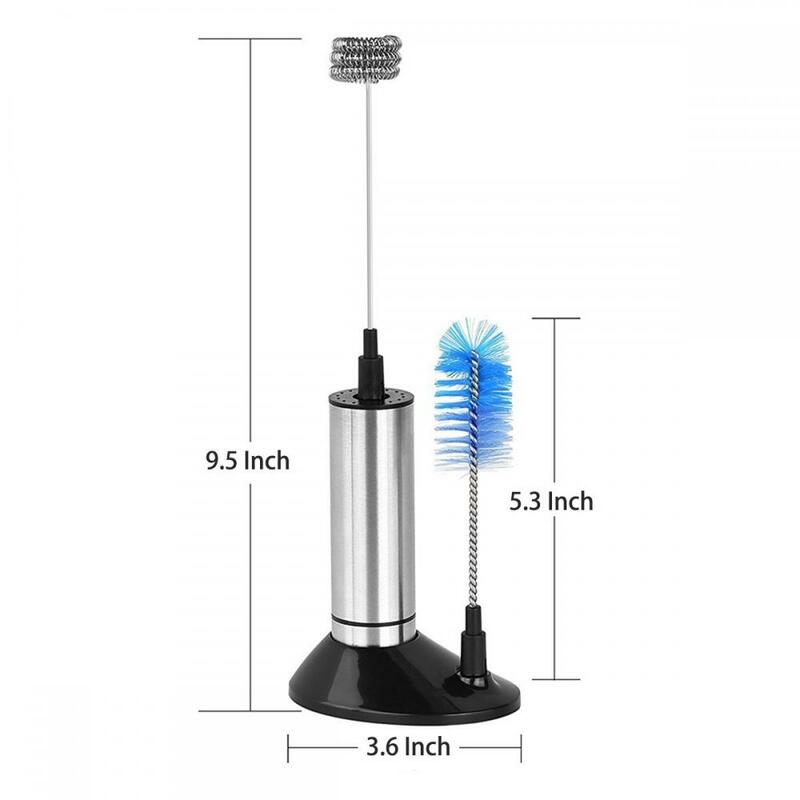 STAINLESS STEEL MATERIAL, GREAT QUALITY AND EASY TO CLEAN - The battery operated whisk is made of high quality stainless steel and food grade ABS. They are not only beautiful but also durable. The whisk heads are removable and easy to clean. Simply place them under running water to clean, and dry it with stand for display. But product host can not touch the water! Looking for ideal Handheld Milk Frother Manufacturer & supplier ? We have a wide selection at great prices to help you get creative. All the Foam Maker are quality guaranteed. We are China Origin Factory of Whisk. If you have any question, please feel free to contact us.